U.S. coal exporters have effectively lost a promising market in China since the imposition of tariffs as part of the ongoing trade dispute, but so far they have managed to find other buyers in Asia, chiefly India. China imposed a 25 percent tariff on imports of U.S. coal in August as part of its retaliation against tariffs on its exports implemented by the administration of President Donald Trump. Vessel-tracking and port data compiled by Refinitiv show that no coal from the United States was discharged in China in October, while two cargoes totalling 212,000 tonnes are being unloaded this month. However, both the cargoes being unloaded in November left the United States before the tariffs took effect on Aug. 23. While China isn’t the most important Asian buyer for U.S. coal, it had been growing in importance until this year. In the first 10 months of 2018, China imported 3.2 million tonnes of U.S. coal, which was down from 5.1 million for the same period last year. Much of the coal China buys from the United States is higher value coking coal, used in steel making, and it usually is at least double the price of thermal coal, used for power generation. The loss of the China market hasn’t been a devastating blow to U.S. coal exporters, as they have so far been able to find other buyers in Asia. India imported 13.5 million tonnes of coal from the United States in the first 10 months of the year, according to Refinitiv data, up 36 percent from the 9.9 million tonnes in the same period in 2017. Japan, Asia’s third-biggest coal importer behind China and India, bought 7.1 million tonnes from the United States in the January to October period, up from 6.2 million tonnes in the same period last year. Overall, Asia’s imports from the United States were 28.2 million tonnes in the first 10 months of the year, up 2.9 percent from the 25.3 million in the same period last year. That doesn’t sound like a poor outcome for U.S. coal exporters, but the data doesn’t reflect whether it has been relatively easy for U.S. coal miners to sell their product in Asia, or whether they have been offering discounts in order to stay competitive with the region’s powerhouse exporters, Australia and Indonesia. Since China stopped providing detailed customs data earlier this year, it’s been difficult to work out how much the country is paying for various coal imports by country of origin. However, data on the website of the U.S. Energy Information Administration shows that the average price of coking coal exports to China in the second quarter of this year was $129.96 a short tonne, equivalent to about $142.96 a metric tonne. For India, the price for U.S. coking coal exports was about $147.72 a metric tonne in the April to June period. 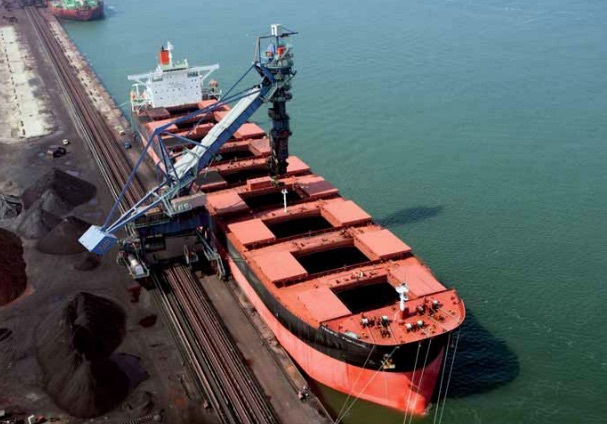 For the same quarter, the price of coking coal futures on the Singapore Exchange, which are based on the Steel Index price for Australian cargoes, was between $182 and $200 a tonne. While the pricing doesn’t take into account any quality differentials or freight costs, it does nonetheless imply that U.S. coal exporters had to discount in order to sell into the Chinese market. There may also be some disturbing signs for U.S. coal exporters to India, with imports slowing in recent months. From a peak of 2.3 million tonnes in May, India’s imports of U.S. coal have trended lower, with October recording 1.05 million tonnes, according to the Refinitiv data. November may be slightly better, with the vessel-tracking data showing India’s imports of U.S. coal at around 1.19 million tonnes, but this is still well below the May peak. Overall, while it seems that U.S. coal exporters have been able to find markets in Asia to replace lost volumes to China, it may be at the cost of having to accept lower prices, and to become more reliant on sales to India, a country that has a government policy of reducing coal imports to zero.